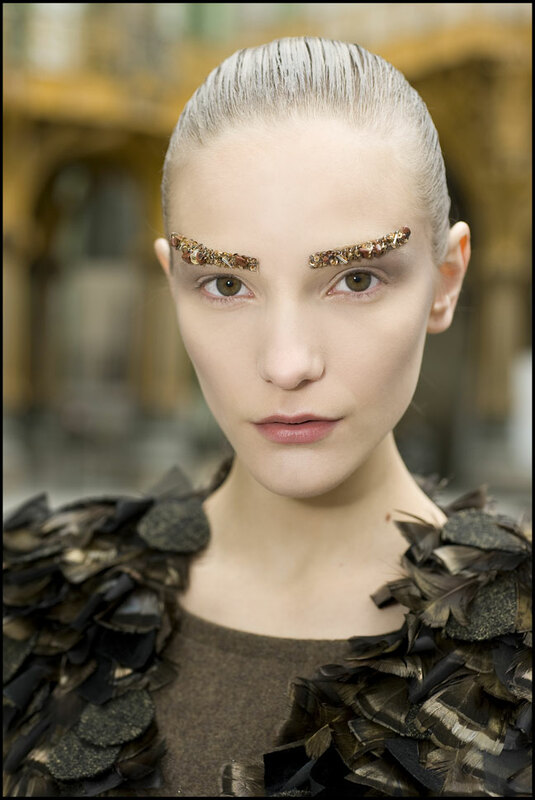 my absolute favorite neutral was created for chanel’s fall ready to wear ’12 show. called frenzy, this nail polish kicked off the greige trend of 2012, a trend that i insist is still going strong. i wear this polish all the time because it is so flattering and works for every and any occasion. 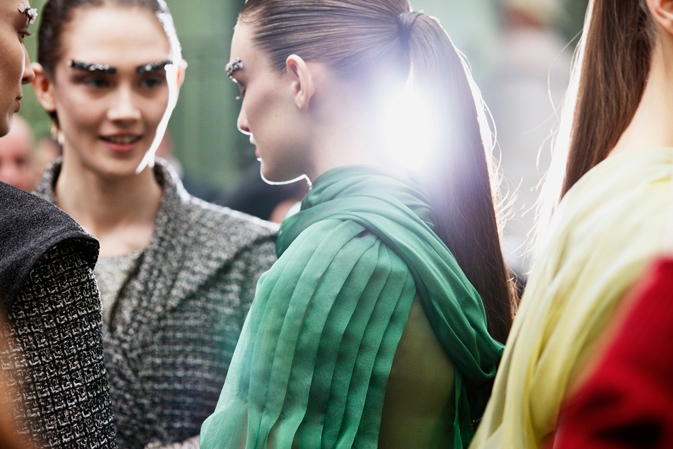 the set of the show featured giant crystal stalagmites, and models wore custom-designed crystalline eyebrow strips and slicked-back ponytails of enviable length.